Art is a more universal mode of language than is the speech that exists in a multitude of mutually intelligible forms . . . The power of music in particular to merge different individualities in a common surrender, loyalty and inspiration, a power utilized in religion and in warfare alike, testifies to the relative universality of the language of art. The difference between English, French and German speech create barriers that are submerged when art speaks (349). On Sunday February 2, a record breaking 111.5 million viewers bathed their brains in what has become the ultimate competition for the best television commercial (oh and also the Super Bowl game). Squeezing in a 30 second ad during the Super Bowl this year set you back $4 million, a fee that jangles like pocket change for a $78.4 billion corporation like Coca-Cola. As much as I hate to do free advertising by drawing more attention to a multi-billion dollar corporation, the reception of their Super Bowl commercial is too fascinating to pass up. After the commercial aired, the Twitterverse exploded in outrage and, subsequently, in outrage at the outrage. Needless to say, Coca-Cola was probably basking in the airtime at this point. Leaping to the aid of the multi-billion dollar corporation, a Tumblr account dedicated to exposing occurrences of “Public Shaming” documented the hundreds of outraged tweets and social media posts in response to Coke’s commercial. The tweets range from confused about what language Americans speak (“Speak American if your in America commercials are dumb”) to exaggerated sarcasm (“it’s called English , your in America … not 3542 different languages”) to just plain angry (“@CocaCola Since when is it okay to sing ‘America the Beautiful’ in any language other than English!! #cocacola #FAIL”). In response, Coke ran an extended cut of the ad during the coverage of the opening ceremonies in Sochi and released a behind-the-scenes video featuring interviews with the actual singers. Even as an American myself, who grew up singing “America the Beautiful,” I was bewildered when I first heard of this controversy. It just didn’t seem to add up. What is the problem with translating an American hymn into different languages? 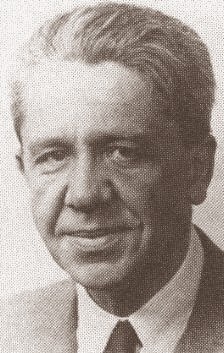 The work of social scientist Alfred Schütz is helpful in getting at some of the dynamics at play when people listen to or perform music together in a situation like this one. In his 1951 essay “Making Music Together,” Schütz identifies in music a power to sync people up with one another so that they share a moment together. “The flux of tones unrolling in inner time,” Schütz goes on to explain, “is an arrangement meaningful to both the composer and the beholder, because and in so far as it evokes in the stream of consciousness participating in it an interplay of recollections, retentions, potentions, and anticipations which interrelate the successive elements” (88). In other words, when listeners actively engage with music, they remember melodies (for example) and anticipate their movement in certain ways (such as through dissonance to resolution). As they sing together or listen to the same piece of music, all participants “tune-in” to one another, living the same flux of tones together. In the performance of a canonized song like “America the Beautiful,” there seem to be expectations about how it is performed and how it is to be sung together. These expectations are connected to the fact that this song is an expression of some sort of felt communal identity and way of life. So when a song like this is performed, participants can “tune in” to one another, and experience the flux of one another’s inner time and live the same moment, “growing old together while the musical process lasts” (95). Even watching it on TV makes the listener feel connected and tuned in to some kind of communal life. This makes it easier to see what might be at stake for those who feel scandalized by Coke’s interpretation of the classic American hymn. First, the performance is a departure from the canonized template, which turns a familiar identity expression into an unfamiliar song. This could make people feel like their own identity has been stolen from them and changed into something unrecognizable. A song that made people feel a part of something has been changed into something they cannot relate to or even sing along with. Second, as Alfred Schütz points out, a musical performance can bring people into a true face-to-face, or voice-to-voice, encounter. Or, as American philosopher John Dewey explains in his book Art as Experience, art, and especially music, is a universal mode of communication that has the power to transcend language barriers. Perhaps the music opened a moment of true communication for those who were willing to listen. For those who weren’t, however, it is a telling moment of intolerance and alienation. In this way, the performance of the song (or the playing of the commercial) is not really the target of criticism; it’s the sorts of people that the performance represents. Unfortunately, this amounts to a denial that non-English speakers should be allowed to participate in the American way of life. The beauty and power of art is that it provides therapy for this intolerance and alienation. As Dewey suggests art, and music in particular, is a universal language that penetrates deeper than any spoken tongue; it allows people to understand and communicate with each other, perhaps to meet each other face-to-face in real and important ways. Dewey identifies communication as the point at which civilization and civility succeeds or fails: “Civilization is uncivil because human beings are divided into non-communicating sects, races, nations, classes and cliques” (Art as Experience, 350). The cure is to communicate, to tune-in to one another, to “grow old together while the musical process lasts” (Schütz, 95). Perhaps what we learned from the response to the Coke commercial is how deeply uncivilized we are, despite our great technology and our impressive cultural accomplishments. Are we are still afraid to meet those different from us face-to-face and voice-to-voice? Maybe recognizing our fear and and meeting one another in music starts us down a road towards learning to grow old together happily with those we do not understand. First image public domain, used from http://en.wikipedia.org/wiki/File:Alfred_Schütz.jpg. 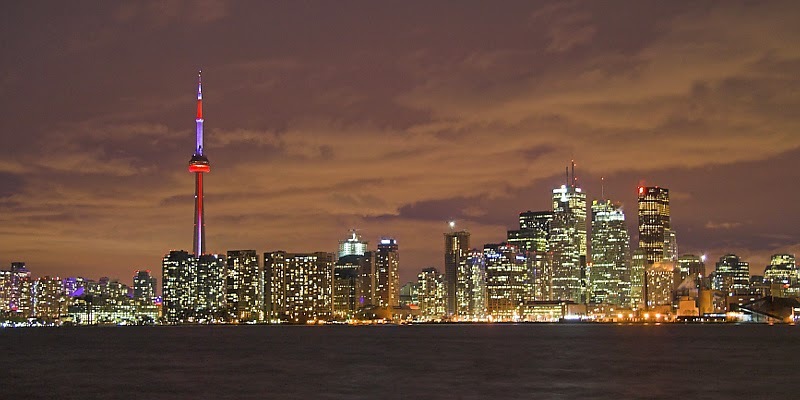 Second Image by Marek Matulka [(WT-Shared) Megaloman], used from http://commons.wikimedia.org/wiki/File:MM_Toronto_Skyline_seen_from_Toront_Islands.jpg. Matt, I shared your frustration and surprise at the response to the Coke commercial. Coming from a German/Swiss immigrant culture, I can tell you that holding on to one's "native" language is a key component in cultural identity, and that "losing" that language (most of the people in my generation don't speak German fluently) is seen as a profound loss of that identity. This debate cuts to the heart of what people understand to be "American," which is clearly still defined by language. It appears we have progressed little as a nation past the Civil Rights era. What do you think Americans can do to respect diversity while still attempting to retain (or gain?) a unified national identity? Tom Reynolds of Emmanuel College and I will be discussing this very issue as it pertains to the Canadian scene at the Lonergan Research Institute Graduate Seminar at Regis College at 2PM Today (March 21). We're definitely going to explore the issue of balancing the need for identity and integration with hospitality and welcoming strangers.